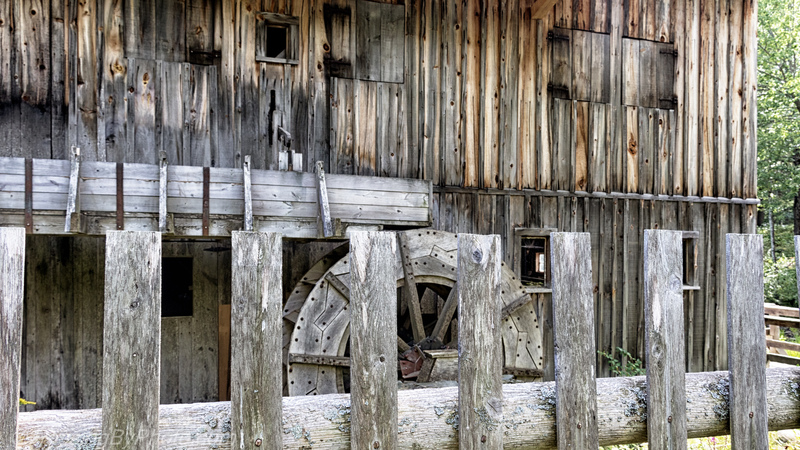 Lines created by the weathered planks in the siding, water wheel and fence of this mill go in every direction. 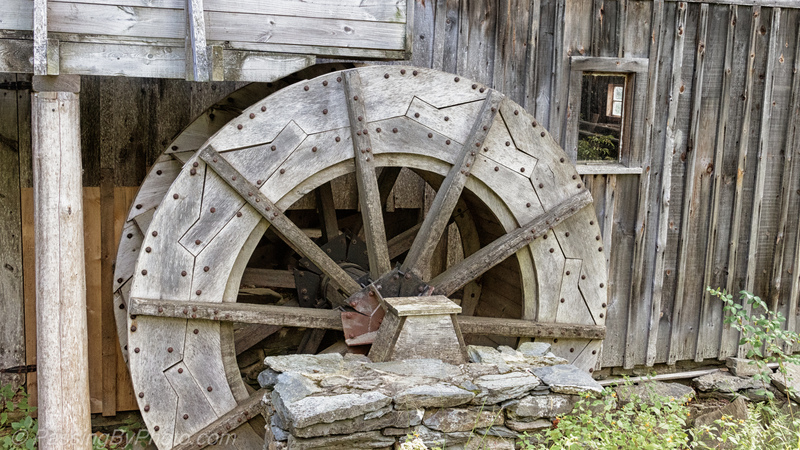 The water wheel is a work of art as well as a mechanical feat that powers a working saw. 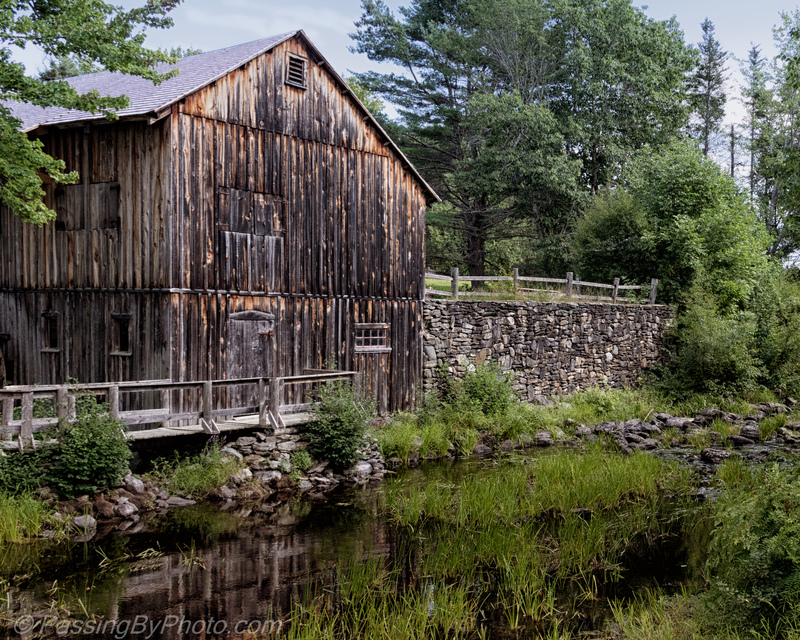 Approaching the mill from the other side of the stream gives a broader view of the building’s colors and textures of the siding. August 25, 2017. Click on any photo for larger view.